4B's elevator drums are specifically designed for both elevator head and elevator tail pulleys. The drums can be supplied either crowned or parallel machined to optimise tracking. Most are made with a slatted open design and supplied with cleaning cones to minimise build up. Shafts and drums can be made in mild steel, alloy steel and stainless steel to customer requirements. 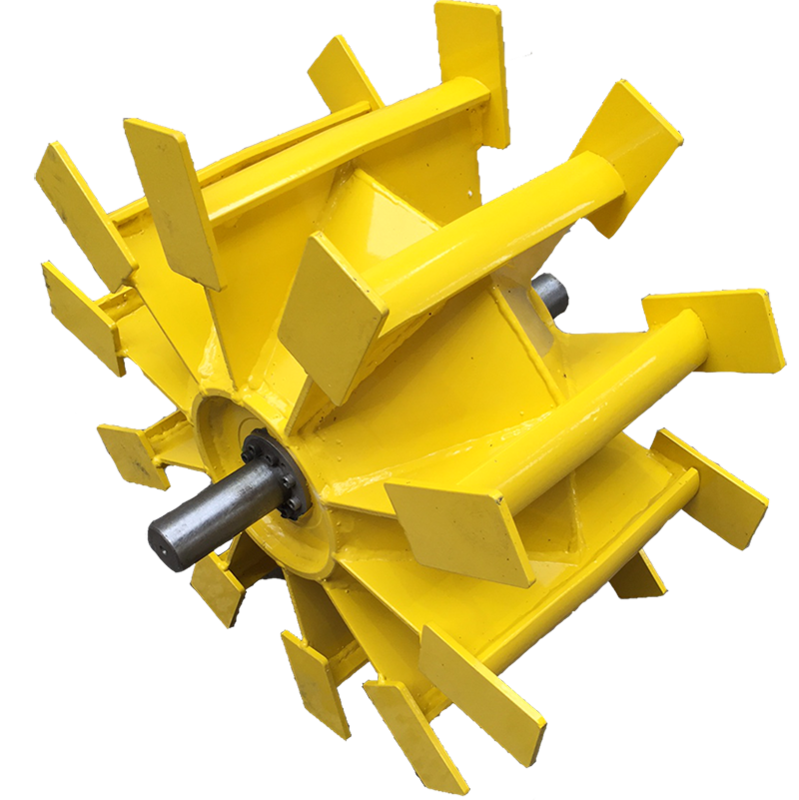 We offer shaft designs that are either welded in position, fixed with taperlock bushes or Ringspan locking mechanisms depending on the type of application required. 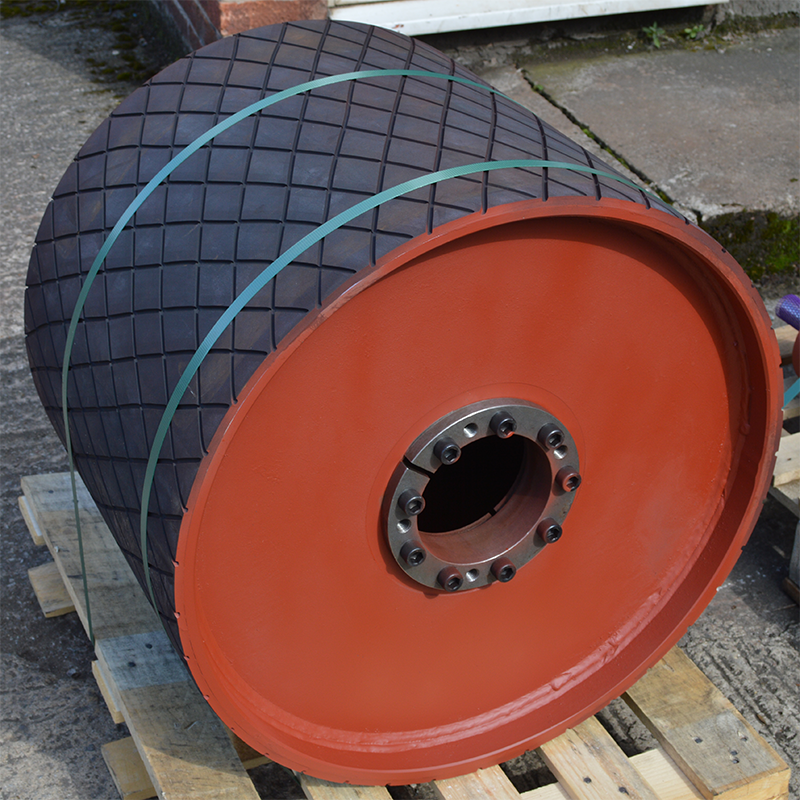 Head drums can be supplied with a variety of high friction wear resistant styles of lagging from standard SBR diamond pattern rubber, through to NBR nitrile rubber for oil and fat resistant applications and ceramic lagging for the applications where high coefficients of friction are required. 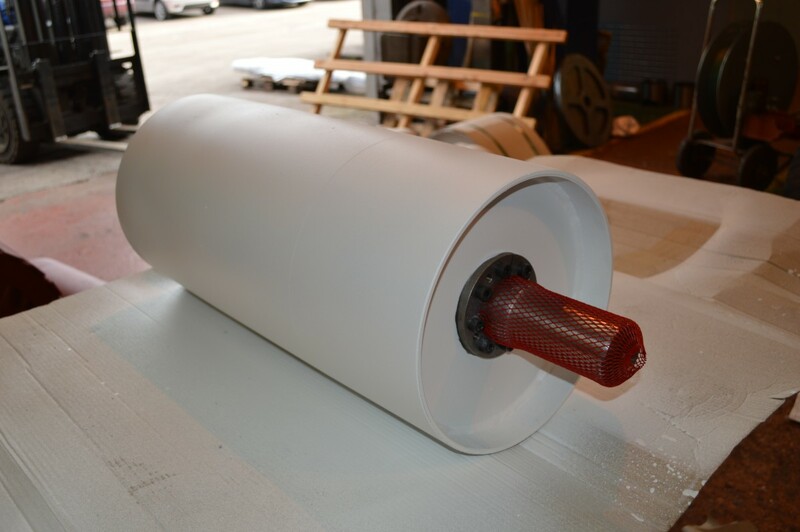 Pulleys can be supplied either plain, primed, finish painted or PTFE coated for very sticky applications.